After Rage Against the Machine broke up in 2000, Zack de la Rocha began to turn his solo ambitions into reality, but the result was a bunch of unreleased recordings. While the rest of the band went on to form Audioslave with Chris Cornell, Rage fans wondered what became of the feisty frontman. 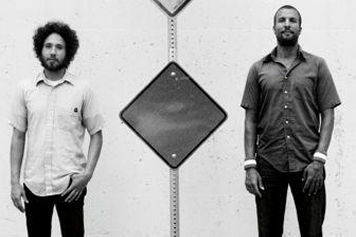 After a few collaborations and a reunion with RATM in 2007, de la Rocha finally set out on a new project, One Day as a Lion, with former Mars Volta drummer Jon Theodore. 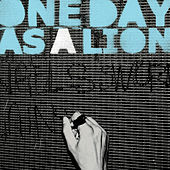 The name is taken from a 1970 photograph by George Rodriguez that shows the graffiti declaration "It's better to live one day as a lion, than a thousand years as a lamb." With that in mind, clearly de la Rocha is not attempting to calm his angst under a new name. Mixing a few echo effects with bombastic beats by Theodore and blowhorn raps about war and social injustice by de la Rocha, One Day as a Lion is like a minimalist RATM without Tom Morello's signature guitar gymnastics. As their 2008 debut proves, even with a new band, there's still plenty of raging against the machine.